On the Internet, many videos, articles, and images go viral, but my blog will never be one, and it is not expected. However, my blog did break another milestone today by exceeding 70,000 views. Such views and all of my blog followers are very much appreciated, since my blog provides a means to share my passion for nature photography and some of nature’s spectacular beauty that I experience. To celebrate this milestone, I am sharing a few very recent images that I processed within the last couple of days. Above is a close up of one of the Barred Owls that lives near my home. They occasionally come very close to the house, allowing closeup photographs like this one. I have posted many of the owls’ images on my blog, but never a closeup. Owls are my favorite group of birds because of their dignified and majestic beauty, distinct calls, nocturnal habits, and silent flight. Did you know there are over 200 species of owls? Owls are divided into two groups: Barn Owls, consisting of 16 species, and True Owls, consisting of about 190 species in 23 genera. 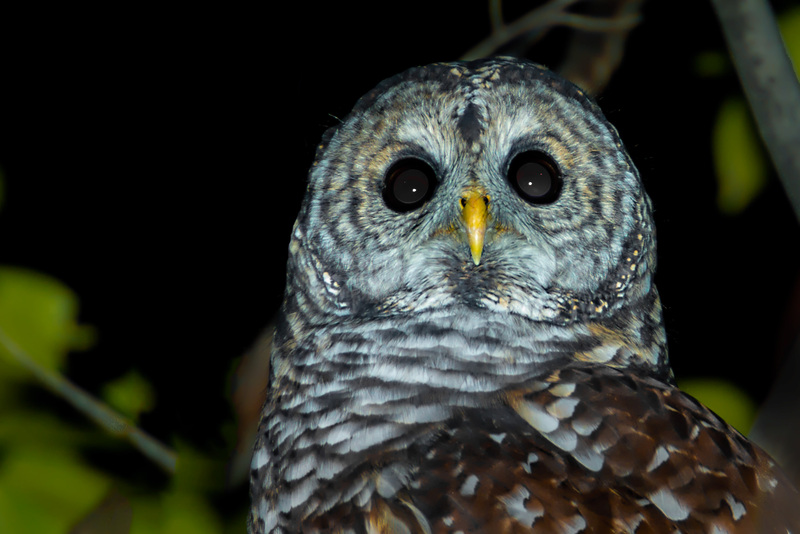 Some better known True Owls include screech owls, horned owls and barred owls. Above and below are two images of American Bald Eagles that I photographed a couple of weeks ago at Conowingo Dam in Maryland. The adult eagle above was flying above the Susquehanna River looking for fish, and below is an immature eagle also flying over the river. I was at the dam again yesterday with a good friend and fellow photographer, Ernie Sears. It was cold when we arrived at the dam, 26 degrees, but it warmed up as the day progressed. Unfortunately, it was not a very active day for eagle photography, but we did manage to capture some activity. I will be processing those images over the next few days. Ernie’s photography can be seen at: http://www.fromwatersedge.com/index.html. 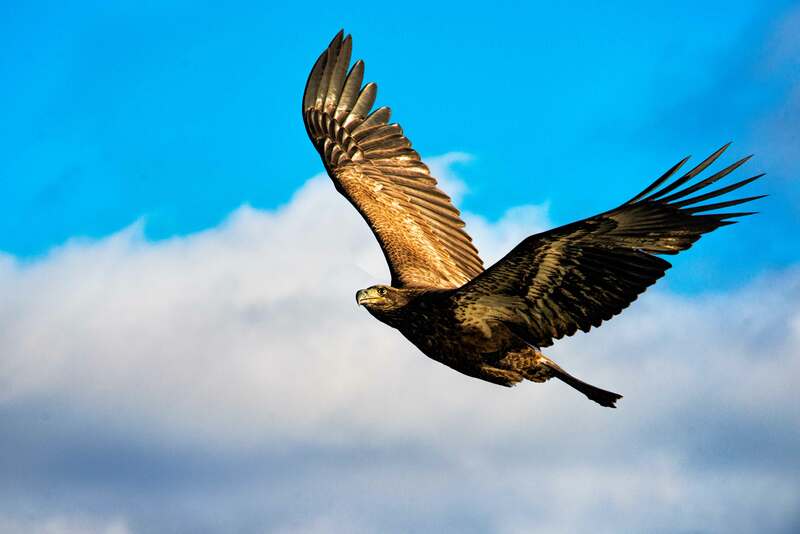 If you enjoy bird photography, check out Ernie’s American Wild Bird website. 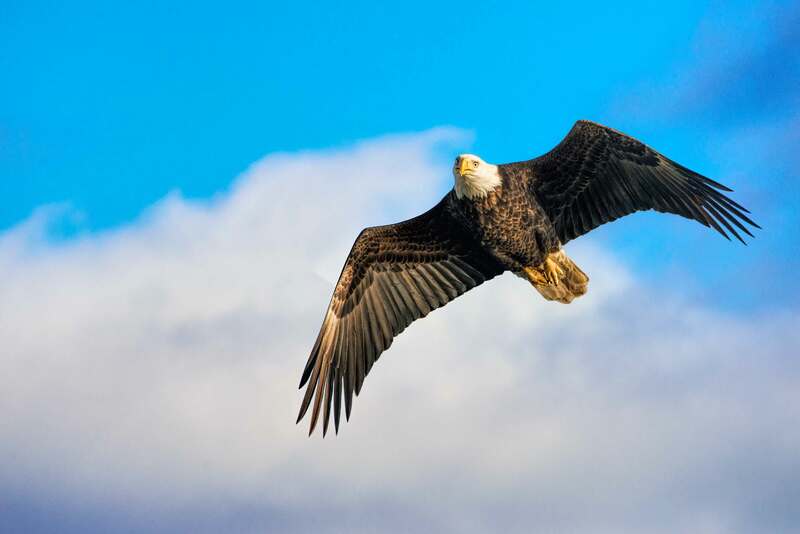 This entry was posted in Bird Photographs, Nature, Wildlife and tagged american bald eagle, Barred owl. Bookmark the permalink. Thrilling photos, Stephen! Especially when viewing the higher res version. Congratulations on exceeding 70,000 views of your blog! Thank you Karen. I appreciate that you follow my blog and regularly provide comments. Your comments contribute to the inspiration I get from my blog. Congratulations! Once again you have proven that talent rises to the top and there is always a audience for people like you who have it. And thanks for the mentions to my sites. Hope you win the Pulitizer for photography…you’re really very good. Thank you Jaime. And it is FUN and a great way to spend retirement (outdoors in great places). Congratulations Stephen!! Awesome photographs as always – I’m still stuck in an office everyday so your photos help me get away and make me look forward to my own retirement even more! Love how his head is cocked to the side and looking right at you. ” Ole Hoots gonna bite you!!!!! !” Always fun to see the Barred’s, my favorite of the owls! I went over to visit “my girl” just the other day and she was there willing to come and sit a spell! This makes over 6 years with this bird! They are very special!! I haven’t been down this year for the “White-headed Buzzards at the dam! We have plenty right here near the house!!! Always enjoy your posts Stephen and I need to get back “on the stick” with mine!!! Hope to see you soon!! Thank you Jim for following my blog and the comments. Both are greatly appreciated. I am looking forward to reading your next post.